A view of Hartranft Elementary from N. 8th Street. 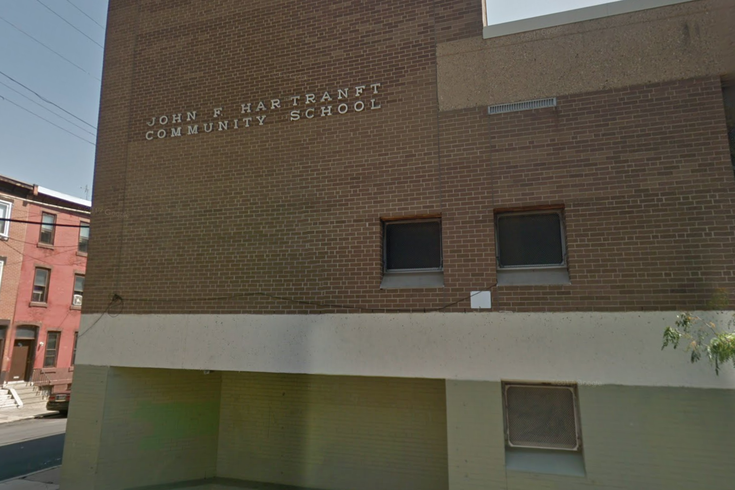 A 9-year-old third grade student died Friday at Hartranft Elementary School in North Philadelphia. The boy was with another student, walking to a hallway trash can, when he collapsed, according to School District of Philadelphia spokeswoman Megan Lello. A staff member at the school reportedly administered CPR, but the boy couldn’t be revived. He was taken to St. Christopher’s Hospital for Children, located two miles from Hartranft Elementary, where he was pronounced dead. Police are reportedly are investigating the incident, but it’s not a criminal case at this time. This is a developing story, and we’ll update with more information as it becomes available.